For professional, patient, & fun driving lessons, call now! We offer a step by step driving program with safety focused training for Leaner/Refresher & overseas conversion students. Automatic car. Mention this ad for best rates & discounted packages. I recommend this service. I began with very limited knowledge of driving, however driving with Rad as my instructor was the best thing I ever did. I only went driving a handful of time and i got my license so fast! Best service ever!!! I really recommend this driving school to those who are seeking for a reliable and honest coach. 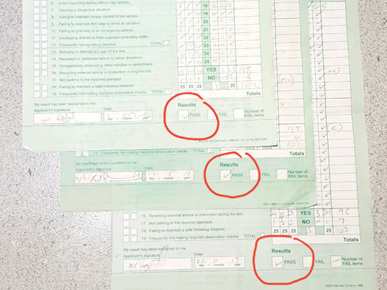 I got my red P in one go and I really did learn a good and safe driving culture. 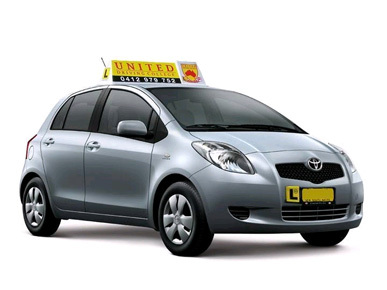 At United Driving College, you will be professionally trained by a fully accredited driving instructor, who will happily provide door to door pick up and return to home, school or work! 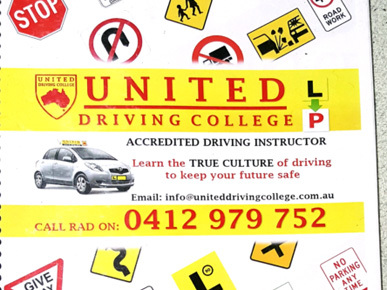 Our lessons provide all driving students with professional instruction at affordable rates. We are dedicated to providing an excellent service to our students. 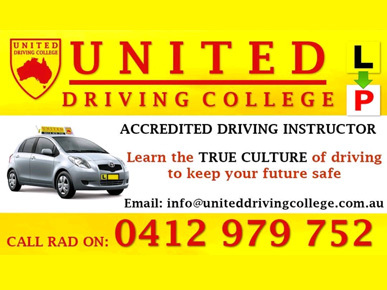 With United Driving College, you can be assured of reliability, professionalism and value for money. Hourly Rate depends on your current driving knowledge. We provide, DISCOUNT to Students & Pensioners. Driving instructors with a difference. 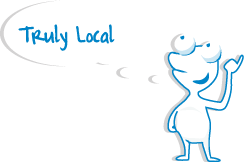 We provide driving lessons for all suburbs in Sydney. Automatic car. 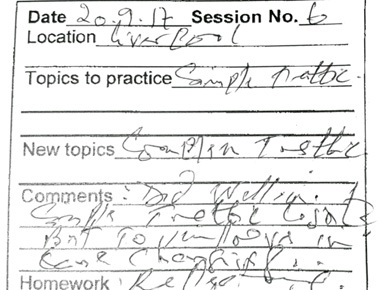 High pass rates.